PARCEL #16, 3.30 ACRES OF FRESH AIR, PRIVACY AND ROOM TO SPREAD OUT IN A WONDERFUL DEVELOPMENT! 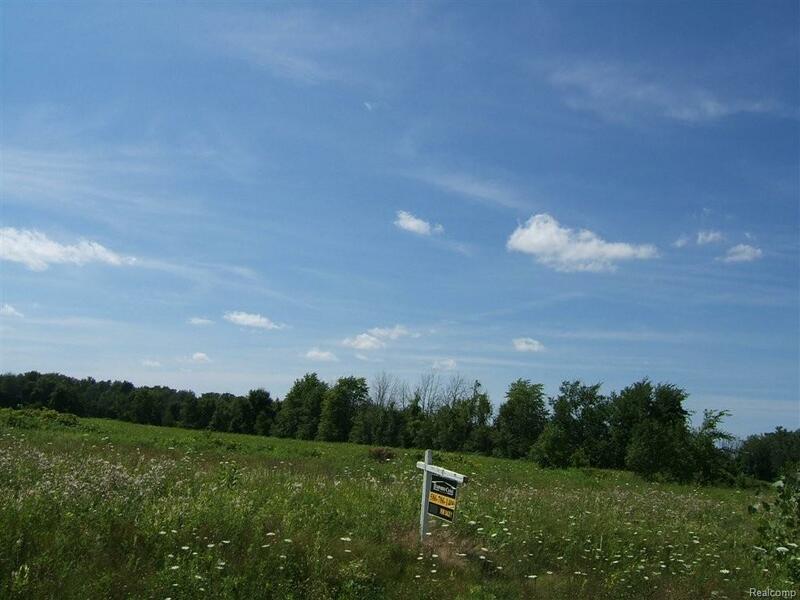 17 PARCELS OF LAND FROM 3 TO 9 ACRES TO CHOOSE FROM. ALMONT SCHOOLS, ALL UNDERGROUND UTILITIES, ROAD DEEDED TO COUNTY. SELLER REQUIRES STICK BUILT HOMES, WITH A MINIMUM OF 2000 SQ. FT., PARTIAL BRICK & MINIMUM 2 CAR ATTACHED GARAGE. ONLY ABOUT 15 MINUTES N/E OF ROMEO. LAND-CONTRACT TERMS AVAILABLE. BUILD NOW OR BUY FOR YOUR FUTURE HOME. HARVEST RIGHTS. MAKE AN OFFER!